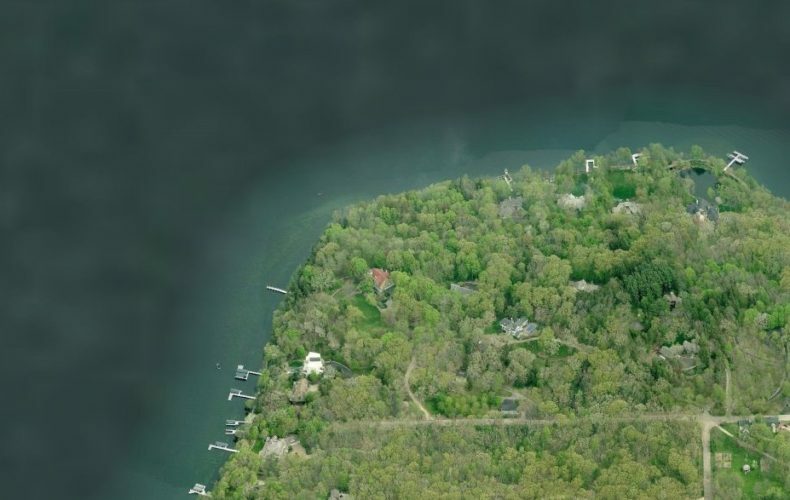 The curious thing about Lake Geneva is that the market would potentially be fine even if another new customer never followed his roads to our roads and purchased a lakefront house. No new buyers, no problem. Never, ever, a new buyer who needs figure out our scene in order to buy it. If no one ever came here again, we’d still have a market. That’s obviously not entirely true, but at times it sure does seem like we needn’t another new buyer. We have enough, and they’re the people who are already here. 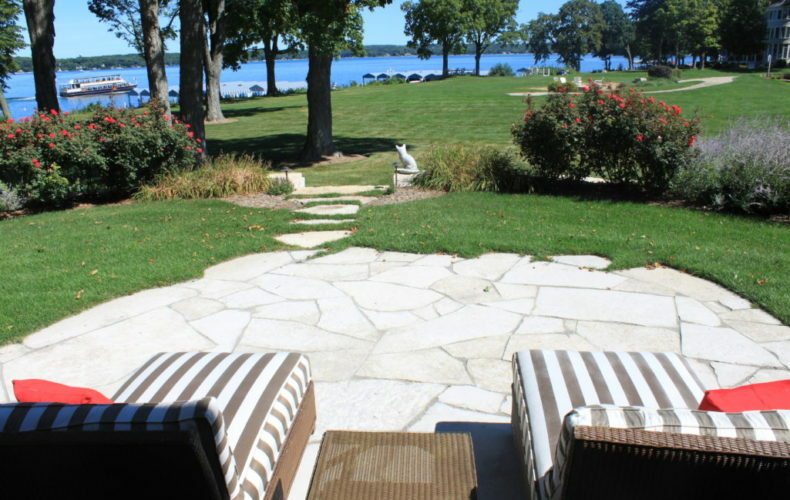 One of my favorite transactions to assist in is the buyer who is new to Geneva Lake looking to capture something ideal. That buyer, someone with no prior experience here, hasn’t yet been confined to his developed tastes. He’s a blank slate, a clean canvas, and that buyer can look at this market without geographic bias. That’s a terrific sort of buyer, one that I highly value. But that’s not the traditional buyer here. That buyer exists, of course, but that buyer isn’t what keeps this market humming. What keeps this market on the move is the lakefront ownership group. Those 600 or so discerning lakefront owners; that’s our market. One year they might wish for a big estate, with 800 hydrangeas and no fewer than 375 rose bushes. But three years later they may long for the simplicity of a lakeside cottage, still with a slate roof, of course, but a cottage nonetheless. A pure lake experience, tidy and controlled. Who could tend to 800 hydrangeas? Yesterday, a new sale on this Great Lake. The last time Clear Sky Lodge sold it was my listing as I represented Bank of America in the liquidation of that valuable asset that they came to own by way of court proceedings. That sale in 2012 was for $3,700,000. Clear Sky sold again yesterday, this time without my involvement, which has put me in a sullen mood for such a lovely Friday. The price? $5,715,000. That’s a lot of money for this old log house, but I won’t say it wasn’t worth it. The house is rare and intensely magnificent. The location desirable, the views sublime, the logs super loggy. I like this sale for the market, but it’s a bit of a loss leader. The appreciation from 2012 of more than 50% isn’t reflective in the broad market. Some homes have appreciated this much, others have not. This is why it’s difficult to take individual sales and suppose that they are meaningful to the broader market segment. 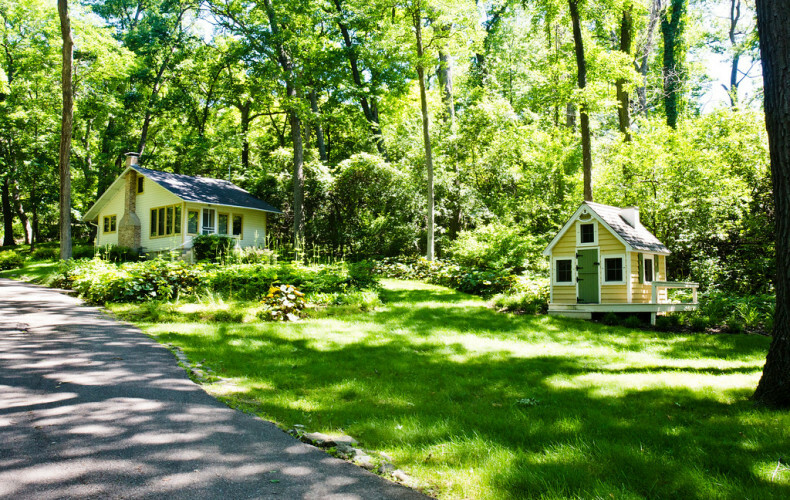 The trend of lakefront owners swapping homes is nothing new. It’s a common theme here, but it appears to be on the rise. When the markets were bad I encouraged would-be-sellers to sell low and buyer lower. I argued it was, in fact, a better situation than it would be to sell high and buyer higher. Very few people listened, but those that did have found the new market to be rewarding. When shopping for a car, most shoppers narrow the search at some point. What started out as a search for a mid-size SUV with all-wheel-drive, has turned into a search for a BMW X5, the one with the 5.0 engine, black on black, with the 21 inch wheels, because the stock 19 inch wheels look like they belong on a rental car at the Akron Airport. This is the way a search evolves. Initially it’s just about accomplishing some general goal, like transportation, but it ultimately turns into a fine-tuned search for personal perfection. Housing searches are like this, too. I spent the past two years with a buyer in search of something unique. Well, it’s unique now, but it wasn’t always unique. A general lakefront house, in a general location, nothing too fancy, with budget aplenty. The search had ups and it had downs, far more downs than ups, really. After so much time searching for something specific, the search arrived at a crossroads. Should this buyer continue searching for what they really wanted, or should they acquiesce to this tight market and buy something that, at least, gets them here? They wanted to be in this place in a certain variety of home, but maybe just being in this place would suffice, for now. This week I closed on a three bedroom condo at Abbey Ridge. It was a homecoming of sorts for me, as I used to spend considerable time in this condominium development listing and selling these two, three, and four bedroom condominium units. The condo was a nice enough three bedroom with a bit of a harbor view and a generally pleasant disposition. $560,000 was the ransom for this space, and we secured it in turn key fashion, down to the bottle openers and fake bird statues near the fireplace. Abbey Ridge, for those who haven’t been paying attention, is hot again. Hotter than hot. Infrared. I sold a unit there last December (off-market), and didn’t bother to write about it. That unit sold for $555,000. A four bedroom unit overlooking the pool sold last October for $485,500. A three bedroom unit listed at $635,000 is pending sale. The only available unit at Abbey Ridge today is a two bedroom first floor unit listed at $360,000. Abbey Ridge is bucking the soft condo trend and printing peak numbers, and for this, we should stand and applaud. But what of these buyers, what of this particular condominium bent, of this desire to find a condo in Fontana without any particular form of lake access? Are these buyers that have only aspired to this form of vacation home ownership? 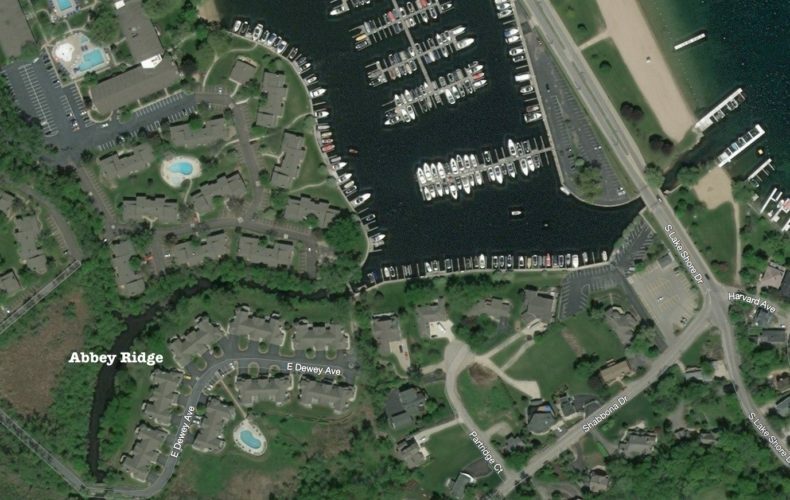 I’d say yes, some are, and a nice condominium in a nice lakeside village in this nice place is a very nice thing. But I have a feeling that several of the other recent buyers aren’t here because they desperately want to be. They’re here because there’s nothing available that truly fits their eye. Abbey Ridge might be benefiting from the tight housing market on the lake and just off, and as a result, sales are printing and prices are escalating. I wrote a piece a few weeks ago about buyers making hot-market-mistakes. This was a bit about the buyers who find the bread and butter vacation home segment to be too hot, too scarce, too expensive, so they retreat to areas where prices are lower and value seems evident. They’re often making mistakes by buying vacation homes in non-vacation home settings, which sets them up for crushing price declines should the market one-day adjust downward. A safer play for these sorts of buyers is to do what my buyer just did. Find a place in Abbey Ridge. In the Villas. In Willabay or Bayside Pointe. Find a condo that might not be what you really want, but it’ll help you live your best life this summer. If you’re showing a house on Folly Lane, it’s best to show it in late October. That’s because the skinny road that makes an abrupt turn towards the lake off of Snake Road is lined with Maples. No, not merely lined, it’s choked with Maples. These aren’t your run of the mill Maples with orange and red and all sorts of silly extra colors, these are the yellow Maples. That’s a man’s Maple, the yellow one. And Folly Lane has all of the yellow ones, and as such, you’d be best served to show a house on Folly Lane in late October when these green Maples are brilliantly yellow. But if you can’t show Folly Lane in October, it’s still a good enough drive any other time of year. I drove down that road last Friday with a cherished client in tow, and later that day we closed on the large lakefront at Folly Lane for $7.4MM. This price, by the way, is the same price the property sold for in 2012 (the furnished number was $300k higher than the recorded print). I didn’t love that sale back then, as the market was in pretty rough shape in the summer of 2012, but today the market is robust and vibrant, especially in our upper reaches. Today, that sale at $7.4MM makes sense to the market, and I was supremely pleased to represent the buyer. For the market, that’s the sixth sale over $5MM in the last 12 months. Of those six, I’ve closed five of them. That reminds me of something that happened over the weekend. On Saturday morning I was out early delivering magazines with my son. We were walking up to the Lake Geneva Starbucks to peddle our pile of propaganda. A woman was walking out with her husband, a copy of Summer Homes For City People in her hand. She was talking in low, hushed tones to her husband. In a terse whisper she said, “I’m not sure why I’d want to read Dave Curry talking about himself”. I was disheartened to hear this, but I quickly decided that it would be better for me to write 84 pages about myself than about someone else. The waters could get slightly litigious if I wrote 84 pages about someone else. 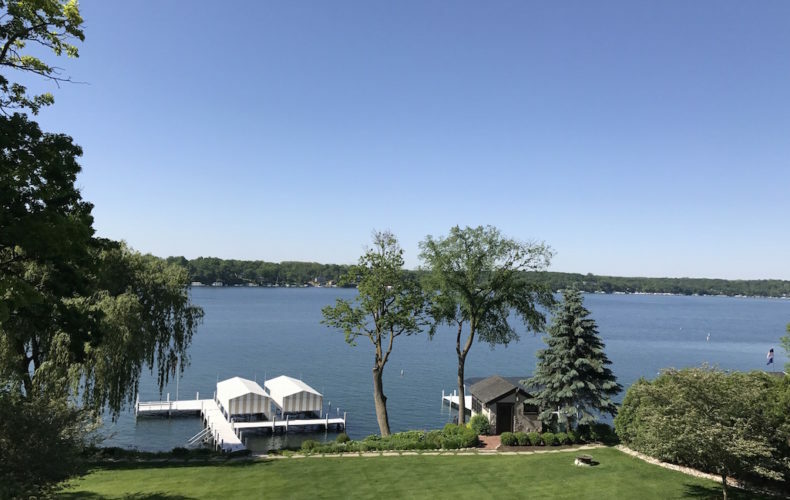 And in the same way, I really don’t like having to tell everyone how I’ve sold five of the last six mega-sales on Geneva Lake, but if I don’t tell you, do you think the other 500 some Realtors here will? 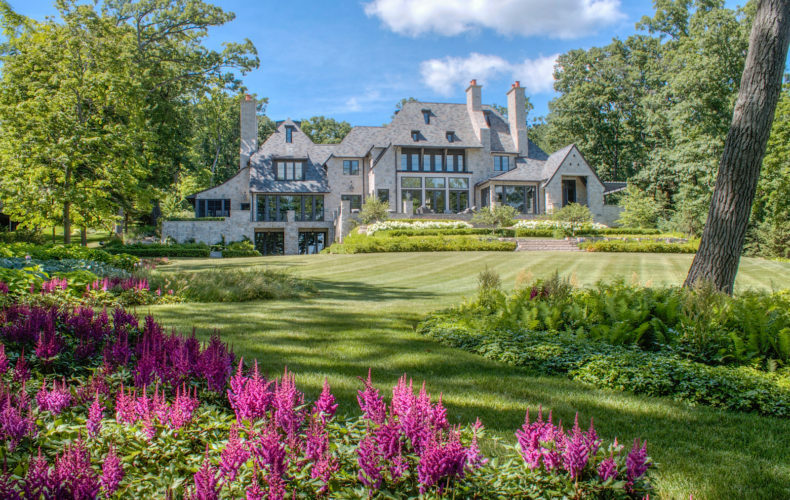 As of this morning, there are six homes for sale on Geneva priced in excess of $5MM. Of those, perhaps four of them are actually worth more than $5MM. Be sure to ask me which ones those are. Of the remaining homes, there’s a rumored offer on one of them, and some interest in another. The properties in this strata are generally large, but of the remaining inventory there’s nothing particularly turn key on estate type parcels of land. That’s an issue for the market, especially as there are many upper bracket buyers in the market today. The story of 2016/2017 is less about the primary market momentum and more about the incredible liquidity in the upper reaches of our lakefront market. Remember, from 2000 through 2009 there were just three MLS sales on Geneva that printed in excess of $5MM. In the past 12 months we’ve closed six. It’s all really quite remarkable until you remember that Geneva Lake is the best lake in the Midwest. Then it all makes a whole lot of sense. A big thank you and congratulations to the newest lakefront owners. Here’s to generational happiness at Folly Lane. Buyers are not generally pleased with the way this market is performing. Buyers want to know when the market will shift in their favor. When the inventory will increase. When the skies will clear and the sun will shine on them, not on the seller. To be a buyer today is to assume the seller has the upper hand. Last November a small house in the Highlands came to market for $1.2MM. The house was about what the market expected for this price. 45 feet of frontage, some basic things like a sort-of kitchen and some bedroom-ish spaces. It was fine, this house. And the market was hot, especially on the heels of my closing of the lakefront down the road on Lakeview right around that same time. But the house didn’t sell, because it didn’t have any sort of sizzle. Buyers looked at it, often, because it was, at the end of every day from then until now, cheap. But was it cheap enough? After all, the house down the road closed at $1.26MM and had a bit more frontage, a boathouse, better finishes and it was clean and easy. This house wasn’t clean nor was it easy, and so, in spite of this dynamic seller’s market, the house sat. I was working with a young couple last summer and fall, a couple who, in spite of their newness to our market, felt compelled to pull something off. 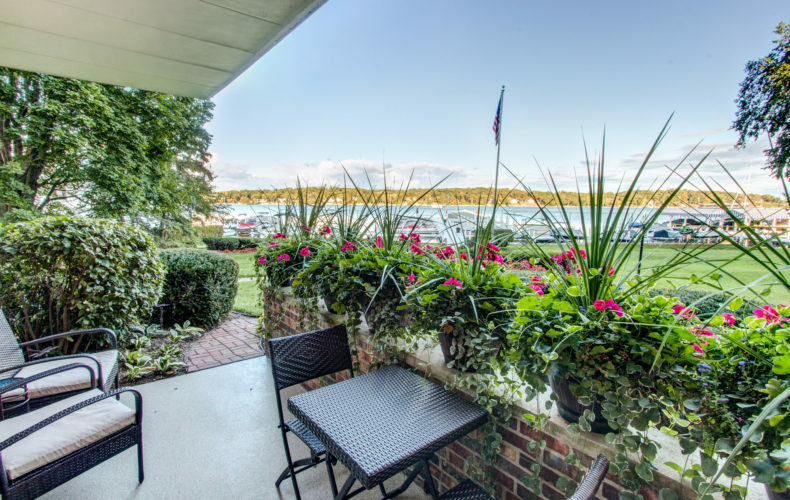 They didn’t want to spend a lot, though in Lake Geneva even our little is a lot, so we targeted the entry level lakefront market, looking for value even as sales printed all around us. Patience, even in an escalating market, would prove to be the right practice. We bid low in March, or maybe it was April. Pretty low. Quite low. The seller responded. We negotiated some more. A bit more. Just a tiny bit more. We closed that purchase on Monday for $925k. 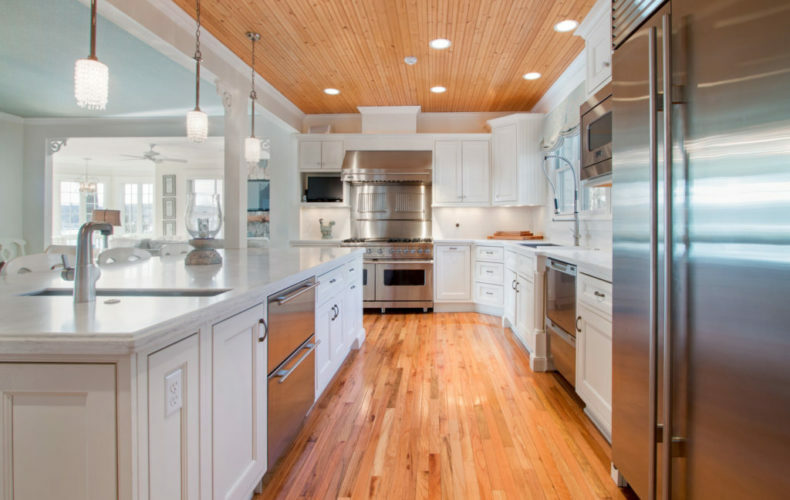 The new buyers are into a lakefront home for the lowest amount that anyone has paid for 45 or more front feet on Geneva since January of 2013, and that, no matter how terrible the kitchen, is a value. 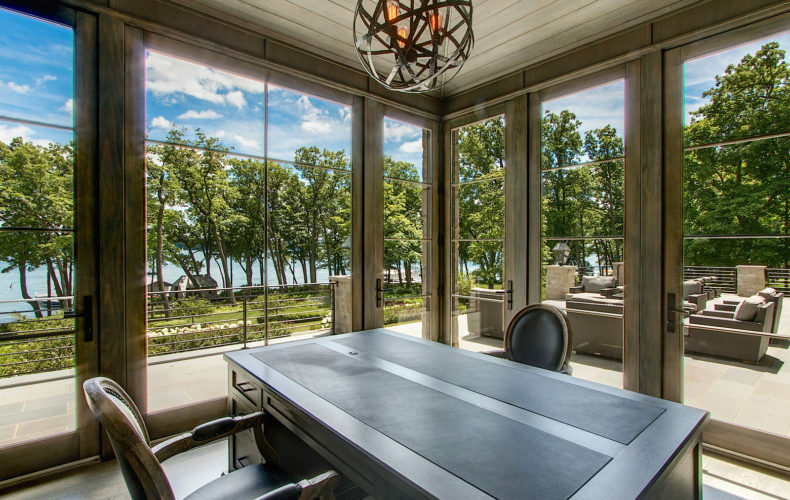 There’s something especially rewarding about placing a new Lake Geneva owner into a lake house. This sale was not the largest, nor was the house the fanciest. But the house allows a young couple an opportunity to experience the lake for the first time, in a way that will be completely and utterly new to them. To this new buyer, a big congratulations and many thanks for letting me help with this lakefront purchase. To the buyers who claim this is a seller’s market, what of the sale here on Lakeview? If you liked your down market in 2010-2013, that’s fine. I liked it quite a bit, too. But the market today is robust and healthy and yet still discerning buyers with enough vision can still secure lasting and permanent value. Don’t let the headlines get you down. Every seller has their own circumstance, and every home its own unique set of challenges. Our job is to discover those homes and those sellers and do our best to print value. When I listed this property last August, I knew exactly what it was. It wasn’t the most perfect house on the lake. The kitchen wasn’t exactly the current style. But it was 4 acres and 162 of frontage with so much square footage and so many resort-style amenities. The house had been listed off and on for what felt like ages, as if anyone really knows exactly what an “age” feels like. Still, the property was repositioned with the help of a fresh perspective and some fresh marketing efforts and I was pleased to work for that seller to get that property sold. While I’m happy for the seller who now gets to move on to the next chapter of her life, I’m exceptionally pleased for the buyer. 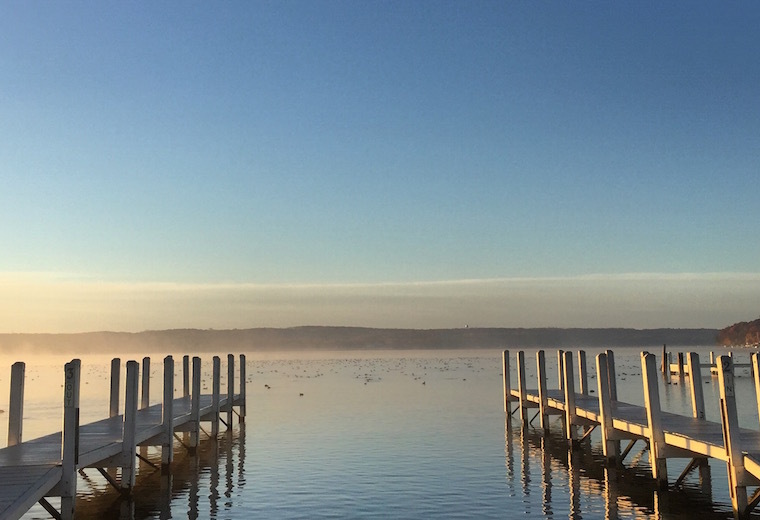 This is a new lake owner, with a new reason to look forward to the weekend. 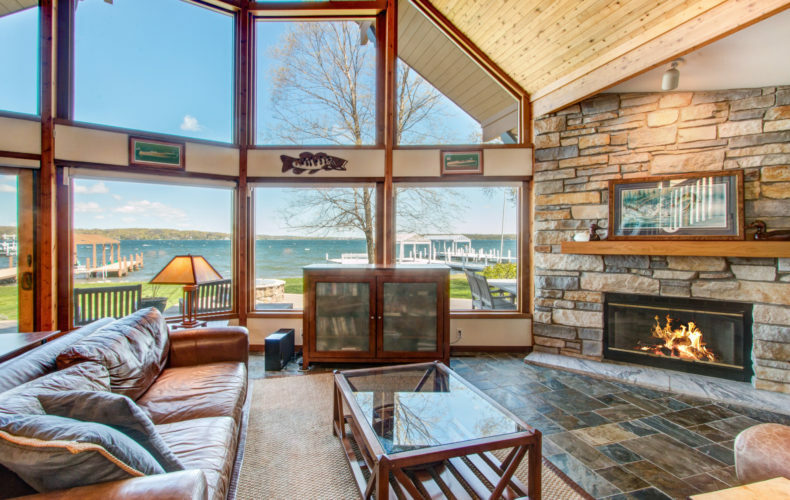 There’s something extra rewarding about selling a lake house to a first time Lake Geneva owner. They don’t yet know what they’re in for, but I do. We do. A very special thank you to this seller and buyer who allowed me to help bring this sale together. I’m out of the office for a few days this week on a short family vacation. In my absence, focus on summery things, like this video from July. As you know, this house sold for full price in September. Another summery video will follow on Wednesday, and I’ll be back live on Friday. If you need anything from me before then, please reach out to me via email or cell 262-745-1993. The most important lakefront home I’ve ever sold is 1014 South Lakeshore Drive in Fontana. I sold that home for the first time in 2010 for $5.885MM. At the time, it was the largest sale I had ever completed, by a factor of at least two. It mattered, this sale, it mattered a whole lot. The fact that I sold the home owned by the owner of our largest local brokerage was something that people noticed, and it helped propel me to the volume that I’ve been pleased to represent since. Last week, I sold that home again. This time for $7,350,000, and as you could imagine, the sale matters this time around as well. I first listed that home two years ago and received an offer within a few months of the initial listing. That offer didn’t come together, and then the property sat on the market for all of the following year. The reason it languished for some time is simple: when buyers are looking to spend $7.95MM they are expecting perfection, and any slight blemish that might interrupt that perception is cause for rejection. And so I worked and I worked and then over the summer a new contract, a new scheduled closing date, a new buyer on the line for 1014 South Lakeshore. In the months that followed there were plenty of ups and downs, other buyers wishing to buy the house came forward, and the house that I couldn’t sell for nearly two years became a house I could have sold two or three times. The market turned, buyers at the higher levels materialized, and 1014 South Lakeshore became a house that was no longer just an expensive house in Fontana. It was THE house in Fontana. Last week it closed, and I remain eternally grateful to the seller who has trusted me with so many lakefront purchases and sales. Loyalty is a frail thing in real estate, and when a client remains loyal over a fifteen year period that’s a special and unique thing. To that seller I owe much, perhaps a career. Another sale last week, this one with more intrigue. In November of 2015 pier 514 sold for $3.95MM. It was a nice sale, a good market price for 186 feet of Fontana frontage spread out over 4 acres. 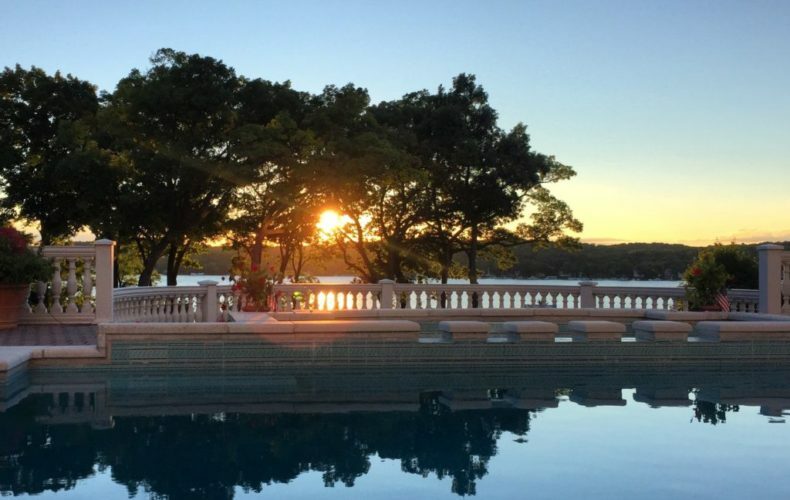 That lakefront just sold again last week, this time for $5.45MM. There is no typo here. There were no improvements done to the house, unlike the sale at 1014 that underwent a supreme facelift and renovation over the years since the 2010 print. Pier 514 just sold for $1.5MM more than it sold for last year. 12 months, 38% appreciation. Wow. So did the market move that much? Of course not. To suggest it did is pure insanity. The market didn’t move more than a few points, but some buyer from somewhere, perhaps a buyer with a penchant for filming Lincoln commercials, that buyer thought $5.45MM was a reasonable ransom for that large property. Do I think that buyer overpaid? It doesn’t particularly matter, because if a buyer wanted 186′ in Fontana with 4 acres of woods, there were no other options. Personally, I like my sale near Pebble Point with 181′ of frontage and 4 acres for $3.93MM much better, but that’s just me, and I’m value minded. For the market, it’s a terrific sale, for that buyer turned seller, a magnificent maneuver in a typically stodgy market. Another week, two more sales, both over $5MM. I wasn’t involved in the lower priced sale, but 2016 has now seen six lakefront properties print over $3.9MM. Of those six, I’ve represented either the buyer or seller in five of them. Those sales have helped push my sales volume over $56,000,000 on the year, and I don’t mention that to be vain. I simply mention that to prove a point. If you’re a lakefront buyer or seller with a Geneva focus, now we both know I’m the guy for you. Sometimes, there’s not much to write. There’s a seller and a buyer and they get along and they’re both honorable and they complete a transaction. Sometimes, the house is perfect, the price is accurate, the deal pure. That’s what happened with W4449 North Lakeshore Drive in Linn Township this summer. I listed this home in July, and it closed yesterday for $9,950,000 (the fully furnished number, transfer will be less). The print is wonderful for the lake, wonderful for those of us who care about proving liquidity at the high range. If you offer perfection and you present it to the market in a way that proves the pedigree, good things will happen. In this case, I was honored to represent the seller who trusted me with this fantastic listing. I’m beyond grateful. This sale puts me over $37,000,000 closed on the year. That’s a humbling total that’s nearly double my next closest “competitor”. If you’re a lakefront buyer or seller with a Geneva aim, I’m here to help. 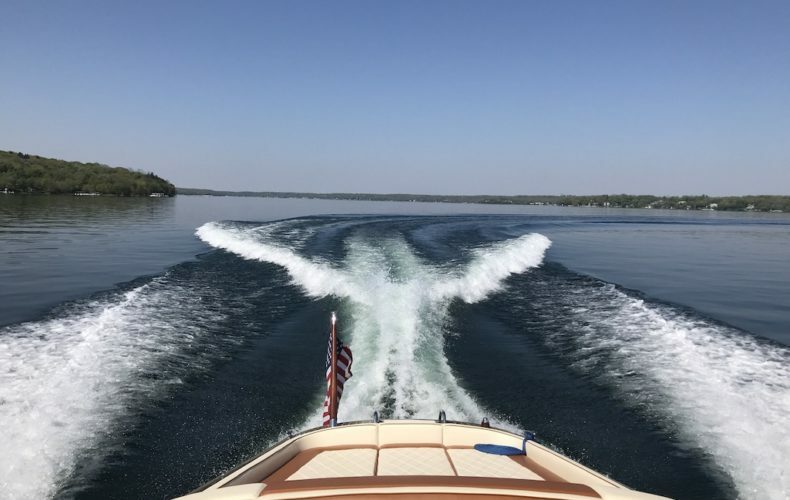 Now that I’ve predictably sabotaged our lovely fall weather by writing about how much I love it, and how much longer it will last, let’s get up to speed on the market conditions at the lake. It’s the time of year where two distinct things happen. Well, three, if you count our impending snow. First things first, the market wraps up fall closings. Deals that were struck in September, while summer was still hanging on, and those deals that were bridged in October, when the colors were bright, those deals close now. The second thing that happens is nonchalant buyers take some time off from their search, which is why most nonchalant lookers make huge mistakes by sitting out the prime time. The closings on the lakefront have been pretty consistent this fall. 2015 is going to end up being one of the best years (of all time) for lakefront sales. I fear this may skew the impression of the market as felt by sellers, but it’s a good thing no matter how you slice it. There have been ample deals in all segments, though the entry level market is still trapped in a bit of a funk. The good news for the broad market is that the activity has been comprised of both new inventory that has sold quickly, and aged inventory that finally fell to a suitable price and was absorbed. Along the lines of new inventory, the large lakefront parcel at pier 514 came to market this summer and sold this week for $3.95MM. It was originally listed in the mid $4s, which is a price that made sense. The parcel was 186′ along the water and 3.7 acres deep, and it was deserving of the attention the market paid it. I should have sold it, as I had several parties interested, but alas, I wasn’t involved in the transaction. At $3.95MM that’s a reasonable sale price, and we can now expect that the home will be torn down in the coming years and replaced with some new ode to importance. Other sales this month include my listing on Bonnie Brae- $2.65MM for 2.75 acres of Snake Road woods, and 100′ of dead level frontage. The parcel on Oakland sold, that of an unremarkable ranch with 100′ of elevated frontage, closed for $1.7MM. The entry level house in the Highlands that I wrote about earlier closed for $1.305MM, and three off water properties in Cedar Point (2) and Academy Estates (1) sold between $615k and $1.2MM. All good sales that make sense, excepting maybe one of the Cedar Point houses because I don’t love houses in the $600s that lack good views, slips, or anything unique. The small ranch in Cedar Point that feels like lakefront but isn’t is now under contract in the low $1s. I sold my Eastbank listing this week for $1.195MM, a fully furnished, highly polished gem with slip, view, and short walk to downtown. Activity remains strong, as sellers entice buyers with slight price reductions to make sure they know the market is still open for business. One such maneuver occurred on Lackey Lane. A pretty Pickell house hit the market this summer for north of $5MM. The market, even in its sometimes irrational state, didn’t bite. $5MM+ is still rare air here, no matter if a few homes that had no business selling north of $5 did just that. The Lackey house dropped a few times, settling last week in the mid $4s. I brought in the buyer last weekend and that property is now pending sale. I sold it because the seller wanted to sell and a buyer knew that it didn’t matter what time of year it was, a good house is a good house and a good price is a good price. Thanksgiving season or not. For the remainder of 2015 expect very little by way of new inventory, though that doesn’t mean there won’t be any. Expect buyer activity to slow, bearing in mind that motivated buyers will be active and will, most likely, secure a reward for being active while others sit out the season. If you could plan a time of year to be a successful buyer here, it wouldn’t be June. It wouldn’t be February. It would be right now.